Embodied Listening offers a way to move through blockages, challenges and uncertainty by tuning into your most reliable source for guidance - the wisdom of your body. Our bodies hold our lives. They hold wisdom and energy for living and growing. They also hold our obstacles: anxiety, trauma, painful emotions, and constricting habitual patterns. The more we are able to make loving contact with these places and live deeply from within our bodies, the more our stuck places transform, allowing for greater joy and authenticity. 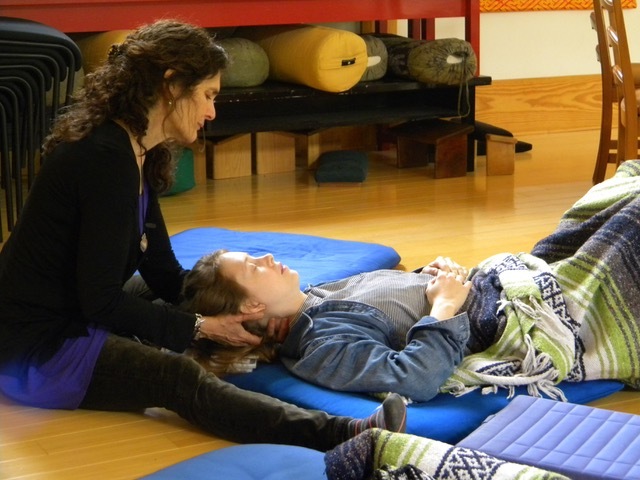 This workshop is highly experiential and includes periods of meditation, exploration of the felt sense, gentle hands-on bodywork, sharing together and humor. Please plan on arriving between 3-6pm on June 21, 2019 to register and check-in. Dinner is offered at 6:30pm. The program begins that evening at 7:30pm. The program ends on Sunday, June 23, 2019, at about 4pm. 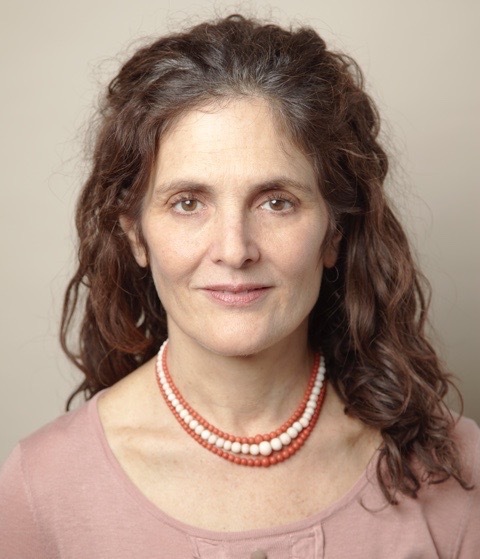 Hope Martin has taught the Alexander Technique for 32 years and has a lively private practice in New York City where she operates Hope Martin Studio. From 1994 - 2018. Hope trained Alexander teachers at the American Center for the Alexander Technique, the oldest training program for Alexander teachers in the United States, where she served as Chair of the Board of Directors for 10 years. She is a meditation instructor and teacher in the Shambhala Buddhist tradition and a Focusing trainer. Embodied Listening is a workshop developed by Hope and David Rome through their 18 years of teaching and collaborating together.